I have spoken of my love of cookbooks many times and of course those with a focus on world cuisines are my obsession. Recently I have picked up many new titles, I like to grab enticing books when I see them on sale but it comes with the pitfall of actually finding time to devour them in their entirety, take in the stories from across the globe and melt into the images that bring destinations to life. I like to read them through end to end before I actually start cooking from them. And there lies my next conundrum. Finding the time to actually live all of these great food adventures. Recent feelings of not having enough time for all my new books bought on mild anxiety which washed over me in an obsessive compulsive form. Thoughts raced through my mind that I needed to start cooking my way around the world systematically, possibly alphabetically or as my husband cheekily but cleverly suggested in the categorisation of the "Human Development Index" possibly worst to best or visa versa. At first I laughed at the suggestion, then I considered it, there is something about structure and order that makes me feel at peace. It seems to run in our family, my sister and I were perpetual over achievers at school. She lived her life governed by the calming order provided by a structured day laid out in her diary. I moved systematically from one project to the next as I still do, making sense of the world and my interests through experimentation. As I pondered how I could possibly contain the world in some sense of order it dawned on me that the beauty of life is the freedom to chase whatever I wish down the rabbit hole at any time that pleases me. Why contain my adventures and neat little categories? Food adventures in the kitchen are no different to travel adventures. They should be pursued governed by what I crave at that moment in time. Spontaneity will inevitably lead to discovery. Be it of a great cuisine I will desire for the rest of my life, a cuisine I cannot master the techniques of or a cuisine that I loathe or possibly love to loathe. Restricting myself with unnecessary rules will only inhibit creativity. If I want to spend weeks mastering the art of the soufflé then so be it or if I decide that I want to hunt for unheard of ingredients for days on end till I have the makings of an Ethiopian feast then that is my prerogative. Food is not to be unnecessarily limited and order and structure will not bring the world any closer. So on that note, I will continue to let the food discoveries unfold naturally in whatever form that may be. 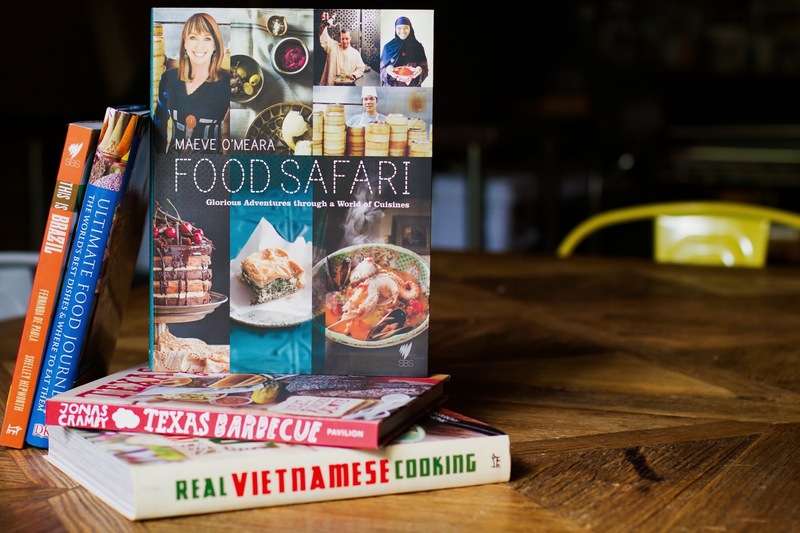 In case you are interested in taking off on a food journey with me here are some of my most recent highly recommended cookbook purchases that will teleport your taste buds around the world and your heart to a state of happiness.